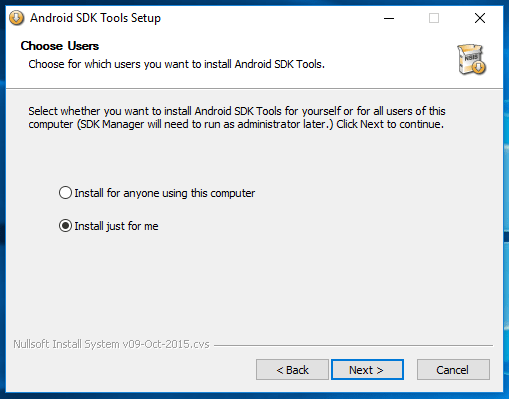 In this tutorial, we will see how to install Android SDK Windows 10 operating system in manual process. 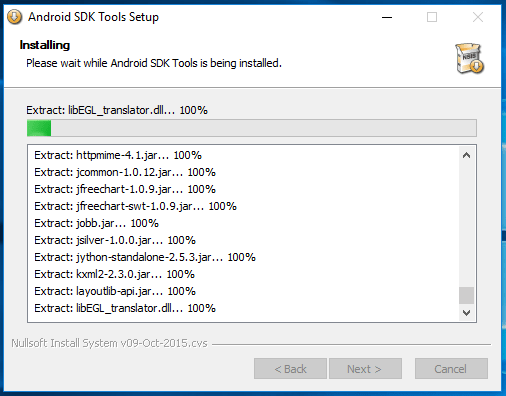 In previous tutorials, we have seen how to install and setup Android studio on Windows 10, as part of the Android Studio installation, the Android SDK also installed. 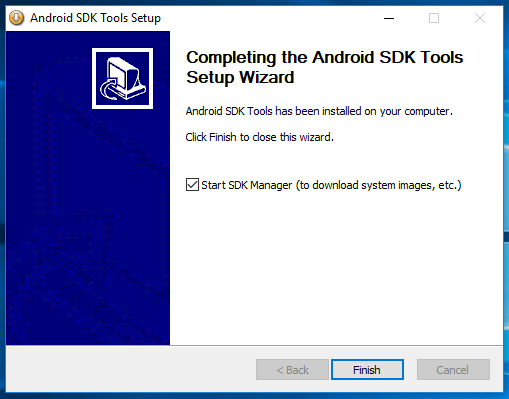 This tutorial is intended to show the manual process of installing the Android SDK on windows. You can download the latest android sdk version here. After downloading the .exe file follow the below simple steps to install. Right click on downloaded file and click on Run As Administrator. You will the below Setup wizard. 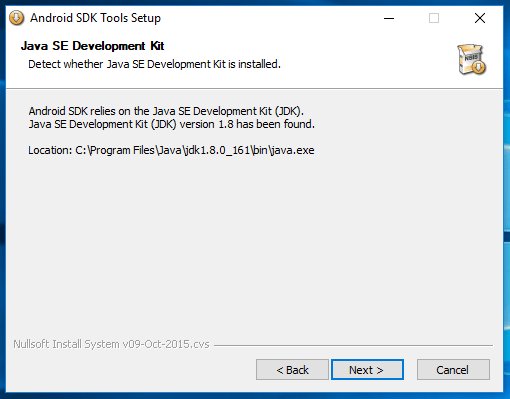 As we discussed in the previous tutorials installation of Android Studio, Android SDK requires JDK (Java Development Kit). 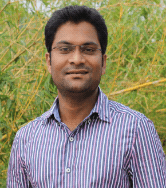 If you do not have SDK on your computer, first you should install JDK and set JAVA_HOME and then continue with the following steps. If your computer already having JDK, the SDK will pick the JDK location automatically like below. 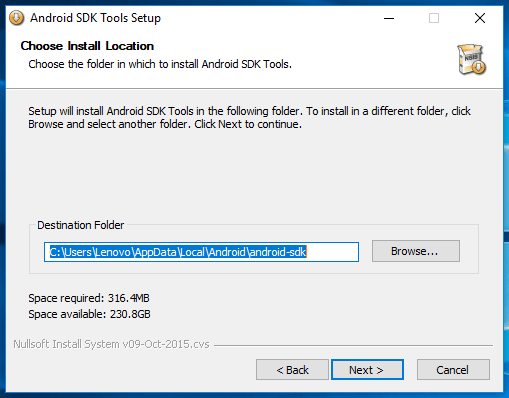 It is asking for installation of SDK for all the users available in your computer. Choose your option and click on next. Now its asking for SDK installation directory location. Browse your directory and click on Next. Then you can see the installation process. It will take some time to complete. Upon completion of installation, you can see the below wizard to actual SDK setup wizard. 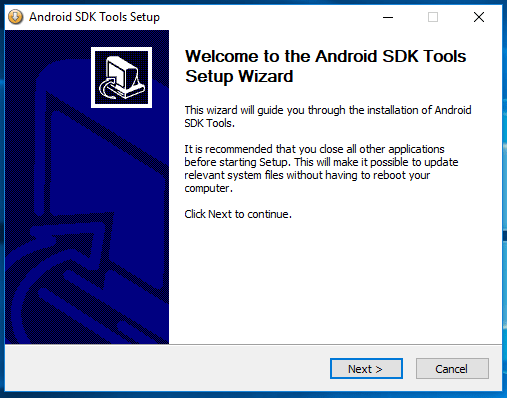 As soon as Android SDK installation process completes, we are allowed to set up the SDK Tools by using below wizard. Click on Start SDK Manager check box and click on Next. 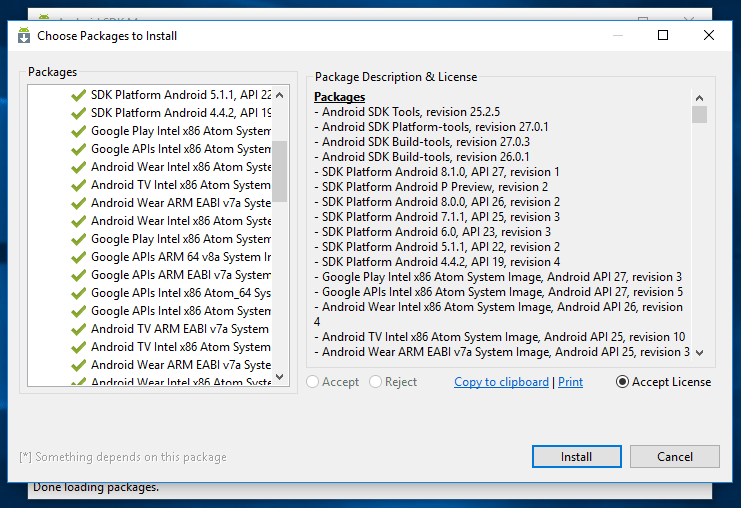 Here you can select, required Android SDK Tools, SDK Platforms and Etc. After selection, click on Install. Accept the license and then click on Install, you can see all installations. 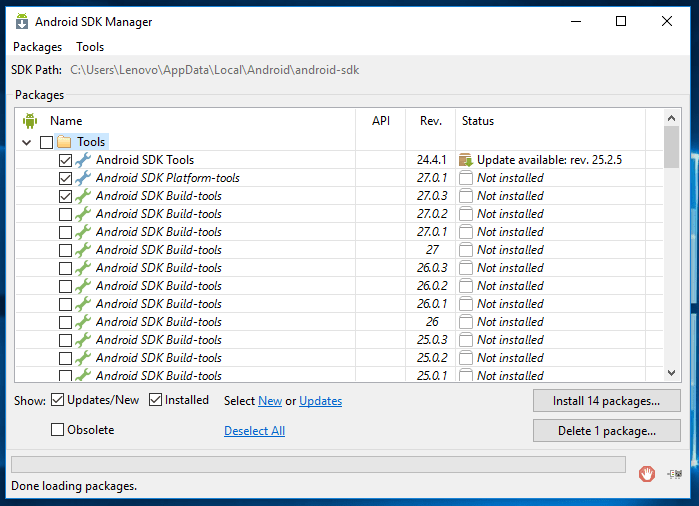 It will install all packages selected by you, upon the completion of installation process; you can use the SDK installation directory as your Android SDK. 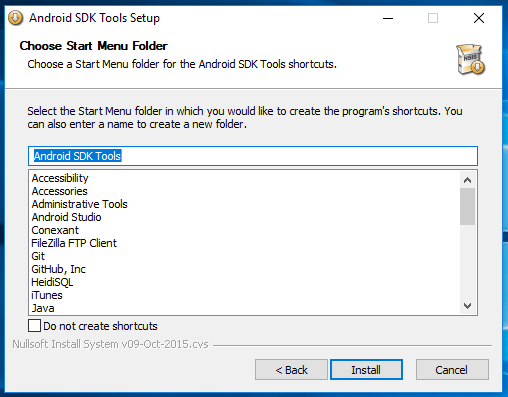 Then you can directly attach this SDK directory to your favorite IDE like Android Studio, Eclipse and etc..